This is to let you know that Mathematics for Sustainability is being prepared for production by Springer, and that I anticipate publication in late April or early May this year. I write now because I know that some of you are planning courses for Fall 2018 and have asked me about the availability of the book. It will be available! What’s more, Springer has a landing page for the book right now. Not every detail of the page is filled in yet, but you can request an online review copy of the book now, and I encourage you to do so if you are thinking about using Mathematics for Sustainability yourself or of recommending it to your college or department. I myself will very likely not be around to hear what use you make of Math for Sustainability. It is therefore with a sense of “passing on a legacy” that I write to tell you of its impending publication. I hope that the book will be a useful tool, making it possible for you and others to build courses and curricula that combine elementary, serious precalculus mathematics with the sustainability theme that can focus the passions of many students. 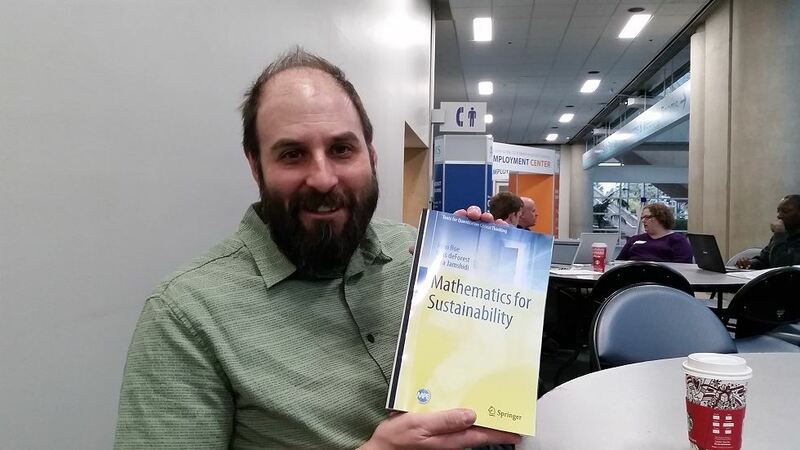 I also dare to hope more: that reading and using Mathematics for Sustainability may become for you a source of hope and joy, as writing it has been for me and my coauthors Russ and Sara. I know we don’t deserve it, but we need it anyhow. This entry was posted in My Books, Teaching and tagged sustainability on February 20, 2018 by John Roe. This entry was posted in My Publications, Teaching and tagged sustainability on July 2, 2017 by John Roe. My C*-algebra notes (from the Fall 2015 course) are now on AMS Open Math Notes. You can find them here. This entry was posted in Teaching, Website and tagged C*-algebra, exposition on January 21, 2017 by John Roe.